World renowned artist Yayoi Kusama is having a busy summer! The Japanese artist who recently collaborated with Marc Jacobs for a collection to be released in July is now presenting her new art installation to the public next week on June 13th. 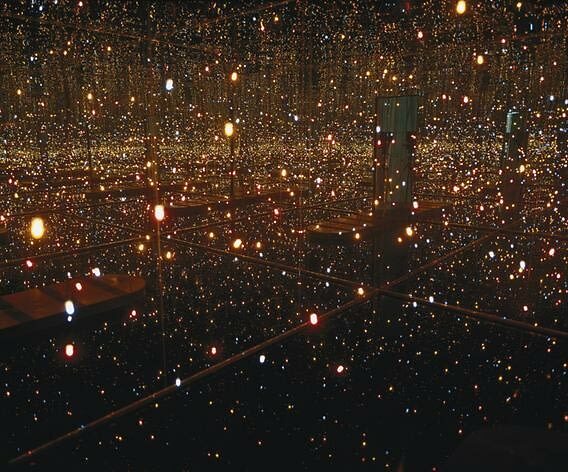 The Whitney Museum will be the new home to Kusama's Fireflies on the Water, which will feature 150 small lights suspended over a pool in an infinity room. Kusama has presented similar works such as Obliteration Room and Infinity Mirror Room but this work seeks to be a more toned down version of her usual polka-doted creations and will support Kusama's journey of "self-obiteration" (otherwise known as seeking true happiness). 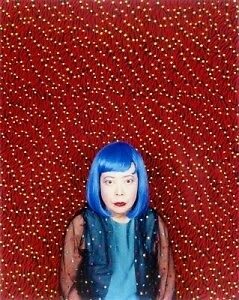 Yayoi Kusama began using polka-dots in her creations at the early age of 10. She started out by using more simplistic mediums such as watercolors, pastels and oils but she has evolved over time and has begun to incorporating technology into her works. Overtime Kusama began developing initiative works such as Accumulation. During the 1960s Kusama began to receive the recognition she deserved as she became a prominent member of the avant-garde art world in New York. Yayoi Kusama now resides in Japan, her native country, where she is one of the most successful and well known contemporary artists in Japan's art community. Check out Fireflies on the Water at the Whtiney beginning on June 13th. Click HERE for more info!